Author weaves romance with good storytelling. FOR makeup artist Grace Barrett, Hollywood isn't the land of golden opportunity. It's the land of difficult divas, cheating boyfriends and unemployment. So when her great aunt offers her a free place to stay in Jackson Hole, Grace thinks she'll spend a little time in the sticks to figure out her life, and then move somewhere exciting to live out her dreams. Cole Rawlins is a rugged Wyoming cowboy born and bred. Yet he can't help but be drawn to the fascinating big-city girl who moves in across from him. He wants to get close enough to Grace to see past her tough façade, but if he does, she might see the real Cole - the one with a Hollywood history gone bad. As they discover a sizzling attraction, it becomes harder for him to keep his demons at bay - and those fires from long ago may burn them both. 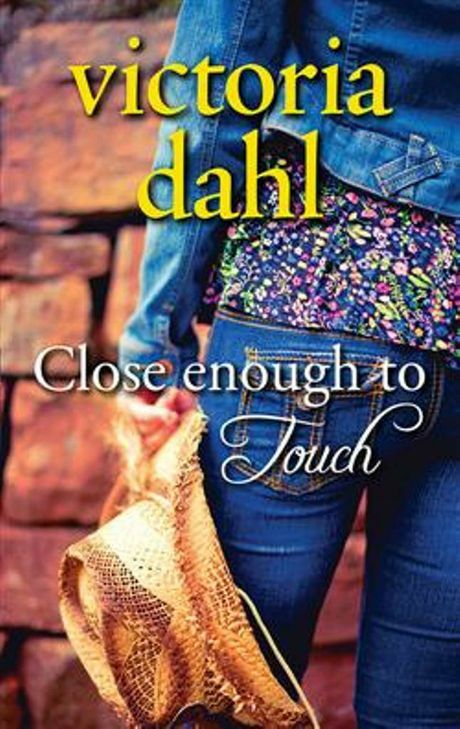 Close Enough to Touch is a great escape, it is easy to read and it is a simple and fun storyline. Writing good romance is a real challenge and Victoria Dahl is more than adept at weaving together the romance, sexual tension and the underlying storyline.